Outbreak of the mosquito-borne disease has been detected around the area in New Delhi. Nearly 120 dengue cases were reported this season in the past one week. The civic bodies have reported 66 fresh cases. That the total number of dengue cases this season has gone up to 119 has gripped Municipal corporations and health officials. The death of a 3 year old boy from Inder Puri, area under the North corporation, has been confirmed a dengue case. A few other 6 patients are being investigated to confirm whether the disease is the consequently prone to suffer dengue. "The three-year-old was admitted to Ram Manohar Lohia (RML) Hospital on July 2 and died on July 10. The death notification was given on July 16. Since the ELISA test was found positive in the case, this is the first official death, according to municipal norms," said an official. On August 5, a 10-year-old girl from Manipur had died after a week of high fever in south Delhi. The South Corporation did not consider the case as the ELISA test was not conducted on her. Dengue, termed by experts as the world's most rapidly spreading mosquito-borne viral disease, follows a cyclical trend in which there is a surge in the number of cases every three to five years. A senior official of the North Corporation said the situation is worrisome and urgent steps, including large-scale awareness campaign, are needed to check the impact. It is caused by four serotypes. 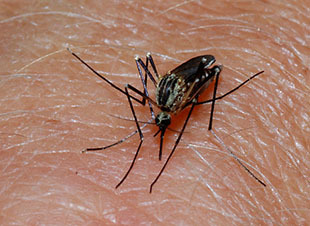 While type I and III are milder in nature causing classic dengue fever and fever without shock, respectively, type II and IV are considered deadly. These cause fever, bleeding and a drop in platelet count. Researchers say the presence of all four serotypes could be behind increased frequency of the disease outbreak.